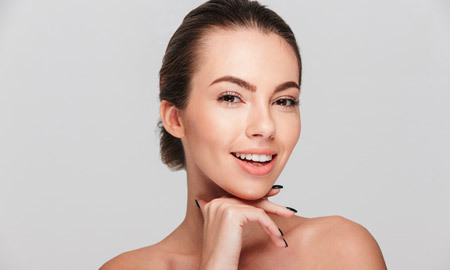 Botox is FDA approved, as well as being widely accepted across the globe, as one of the top cosmetic treatments for wrinkles and fine lines within the forehead and eye area. Wrinkles can evolve and become far more noticeable, especially with recurring facial expressions. Botox works by relaxing the muscles that would be namely be the main source of said wrinkles. Your facial skin quality can be dramatically improved by adding a custom chemical peel to your standard beauty regimen. Our medical-grade chemical peels are available in different formulas: mild, medium, and deep. To smooth fine lines and wrinkles, restore an even skin tone, treat acne scars and breakouts, and restore the glow, a chemical peel works magic. You can maintain smoother, healthier, more youthful facial skin with a regular dermaplaning treatment. Performed with a sterile surgical scalpel, the skin surface is carefully shaved to remove dead skin cells that leave your skin looking dull and lifeless, while removing “peach fuzz” to achieve a smooth, refreshed, hairless, glowing skin. If you have sparse, thinning, or uneven brows, eyebrow microblading is a process to restore the look of full, lush brows. The procedure involves etching tiny, hair-like lines in thinning brow areas. Full, healthy brows are attractive, but not everyone has the luck to have perfect brows, until the development of eyebrow microblading. Injectable fillers are a quick, effective way to add volume to the face for a short period of time. The added volume provided by dermal fillers can help in smoothing out fine lines, while simultaneously improving one’s natural contours. This results in a finer, more youthful looking appearance. Thinning lashes, short lashes, or sparse lashes? Why not have the thick, lush, attractive lashes that highlight the beauty of your eyes with custom lash extensions? Custom lash extensions can be added to your natural lashes to create greater facial appeal, from high glamor to a more subtle enhancement. Microdermabrasion reveals healthy, glowing, facial skin with a state-of-the-art exfoliation process. To achieve refreshed skin quality, an ultrafine particles are sprayed across the skin surface to remove dead skin cells which are suctioned away. To restore supple, healthy, evenly-toned, glowing skin, experience the difference with a microdermabrasion treatment. Your body has the incredible ability to regenerate from within. For healthier, firmer, and more youthful facial skin, microneedling does wonders. Tiny micro-injuries are created, signaling your skin to get to work repairing the area and produce greater quantities of natural collagen for firmer, healthier skin. Imagine not needing to spend time applying cosmetics, but awakening each morning looking great. We can create a long-lasting effect for beautiful brows, eyeliner, and lipstick with custom facial pigments, carefully applied by our permanent makeup expert. Simplify your life and look your best without the hassle of applying cosmetics – it’s a beautiful thing. Skincare is an important part of creating lasting and visible results for your skin. The quality of products you choose as part of your daily skincare regimen is vital to creating youthful and nourished skin. Dr. Andres will help you determine which high-quality skincare products are right for you.